Sid the sneaky cat has six owners, six homes… and six dinners a day. Life’s just about purrfect – until the day he’s caught with his whiskers in the cream! How will his many owners react when they realise that Sid is not theirs and theirs alone? Told in humorous text and wonderfully deft, realistic artwork, this classic story of a manipulative mog with everyone wrapped around his little paw is full of rib-tickling chuckles. It is one of the Daily Telegraph’s top 50 children’s books of all time. Winner of the Smarties Book Prize. 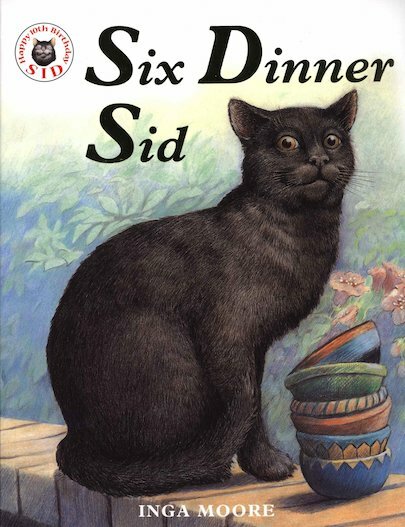 Also available: Read and Respond activities to accompany Six Dinner Sid.